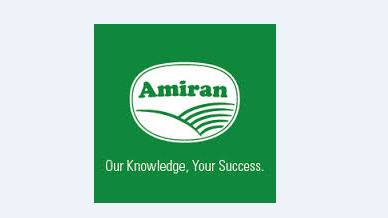 Amiran Foundation Kit is comprised of: GRAVITY FED DRIP IRRIGATION: It is a system of 90m2 with all accessories, such as filter, valves, connectors, and elbows. It is comprised of long lasting drippers which ensure even distribution of water offering maximum efficiency in water usage enabling fertilization through the drippers. SOLID WATER TANK(250L) Strong and reliable material Offers portability advantage Easy to refill water from top All connections and tank cover provided FERTILIZERS High quality and specialized smart fertilizers Defined application amounts for one season Maximizing target yields Convenient pack size FARMER SPRAYER (1L) Portable hand operated Top quality materials resistant to all treatment products Adjustable cone nozzle High pressure chamber Suitable for chemical use SEEDS High quality seeds AGRO-CHEMICALS: Designed proper cover for one season of crop High quality and certified pesticides Defined target for every pesticide Guided amounts and rates of application AMIRAN GROWING GUIDES Professional growing guides allowing farmers to follow a clear process suited to specific types of crops.